The nature of SEO is a complicated series of technical and aesthetic considerations that involve working both on and off of your site. While many people focus inherently on content creation in an ever-changing world of search and social media, SEO still remains a core component of any website or brand’s success. Finding ways to quickly maximize SEO performance that may have been overlooked is crucial in filling in the holes that could be hurting a brand’s performance. In the following article, we’ll talk about four simple SEO solutions that will help websites, blogs and brands achieve better performance in search and beyond. Landing pages are a great way to segment traffic from search and beyond into custom groups that will ensure maximum conversions. Some brands only use one or two landing pages to appeal to readers and customers, making it far more likely that they will not convert. By including great-looking, customized landing pages that appeal to as many groups as possible, bounce rates will decline. In the end, this means that search will view your site with more authority – at the same time that you are converting more people! 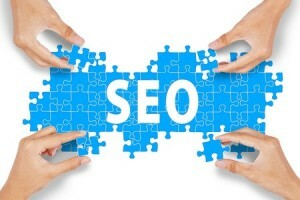 Earning links throughout the web has always been a very important part of the off-site SEO experience. As pinging search engines with more quality links makes Google and others view your brand with more authority, this is still a very desirable activity. Some people say that link building is dead, but even Google has explained that link building factors into their algorithms. Earning backlinks through forum posting, guest blogging and signature inclusion are just a few ways to maximize this effect. As Google and others continue to move toward more detailed search results and demand more content, it’s no surprise that pinging search engines with longer keywords can prove to be useful as well. Not only will users find that there is less competition in long-tail keyword searches, but it’s also true that people are increasingly searching with longer queries than they have in the past. As search engines become more complex, so must the targeting of keywords in order to be successful. With a majority of Google’s search traffic now originating from mobile devices, it is imperative that websites take mobile optimization seriously. With the Mobilegeddon update, Google has made it clear that websites that choose to not adapt to mobile devices will be penalized in various search results for mobile users. It is simply no longer an option to cater only to desktop devices. Websites that make the switch will observe improvements in all search metrics over the coming months, so this is something that must be acted on as soon as possible. As search engines continue to become pickier and picker – as well as those who use them – webmasters will need to find ways in which they can maximize their performance with both. By building links, optimizing for mobile, providing better landing pages and using long-tail keywords, SEO performance inevitably will improve.